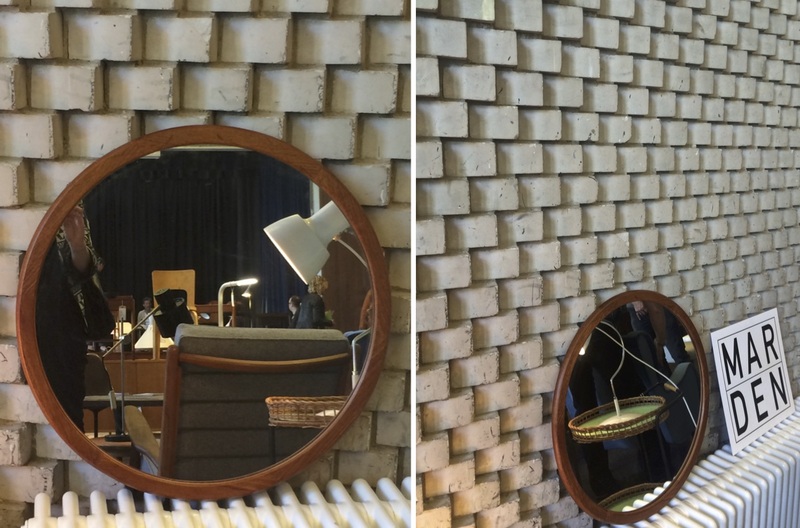 mid century east. | owl's house london. 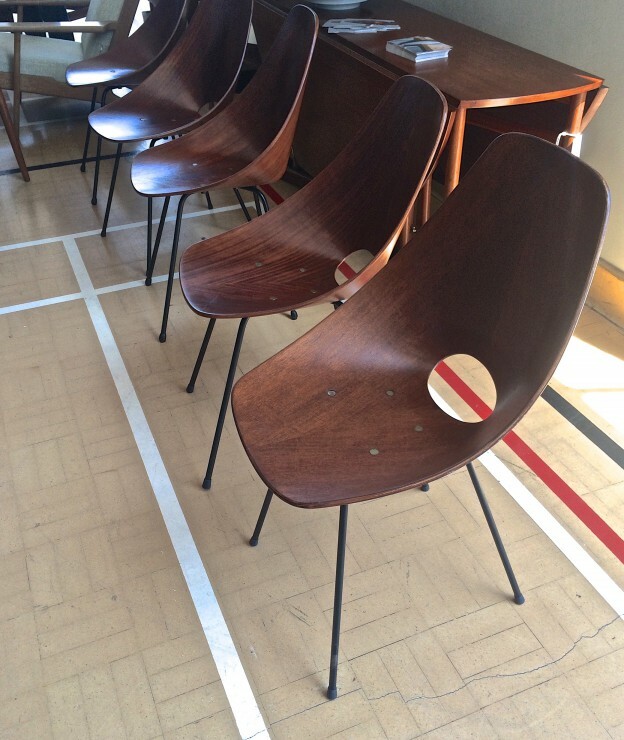 Yesterday’s Mid Century East show at Erno Goldfinger’s marvellous Haggerston school was the usual trove of fabulous modernist finds. Apart from the pieces, what I love about the show is how everyone who attends is passionate about design. Dealers love what they do and love to talk about their wares. And, of course, the pieces themselves always come with a fascinating provenance. 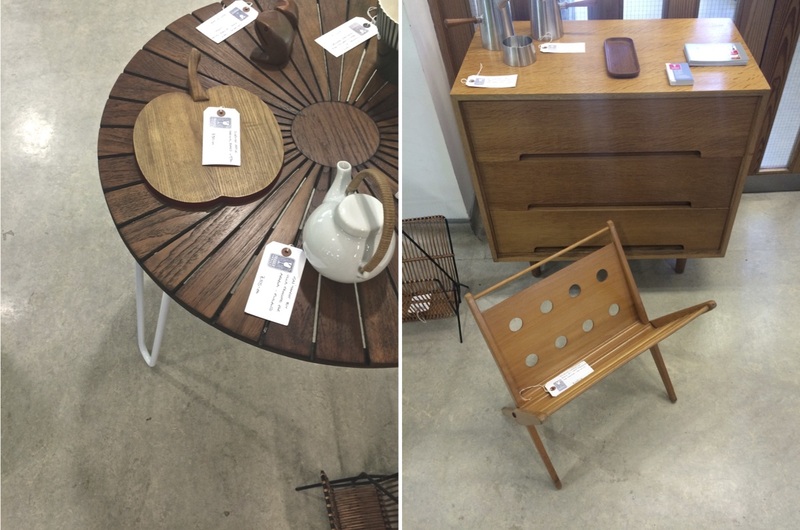 A brief walk-through below, featuring just a few favourite pieces and their dealers; some known, others new. Mar-Den had the wonderful, on-end, angled brick wall as a backdrop in which to display, in the beautifully proportioned double-height space of the hall. 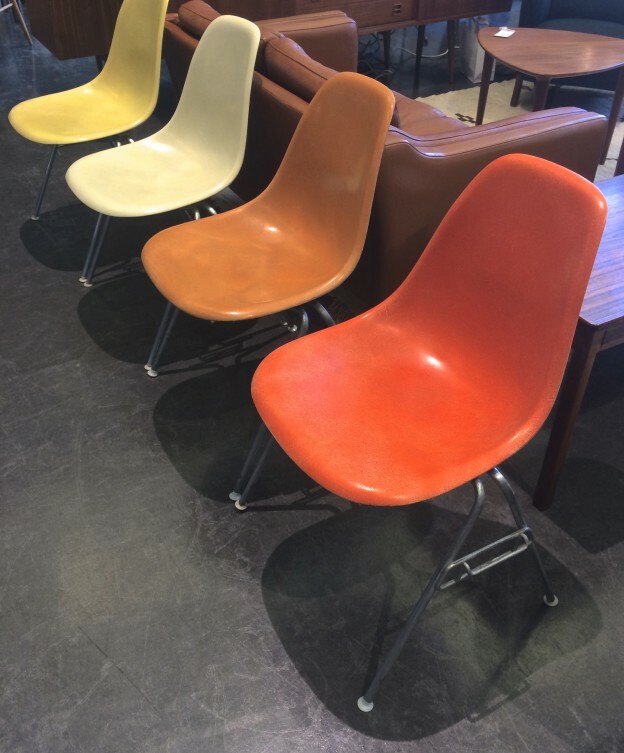 Pink Flamingoes specialise in American design, and showed Eames classics in fabulous colours. Beton Brut specialise in architect-led design from post-War France, Italy, Netherlands and Scandinavia. I’m yet to visit their new showroom in East London but they have a very seductive website in the meantime. 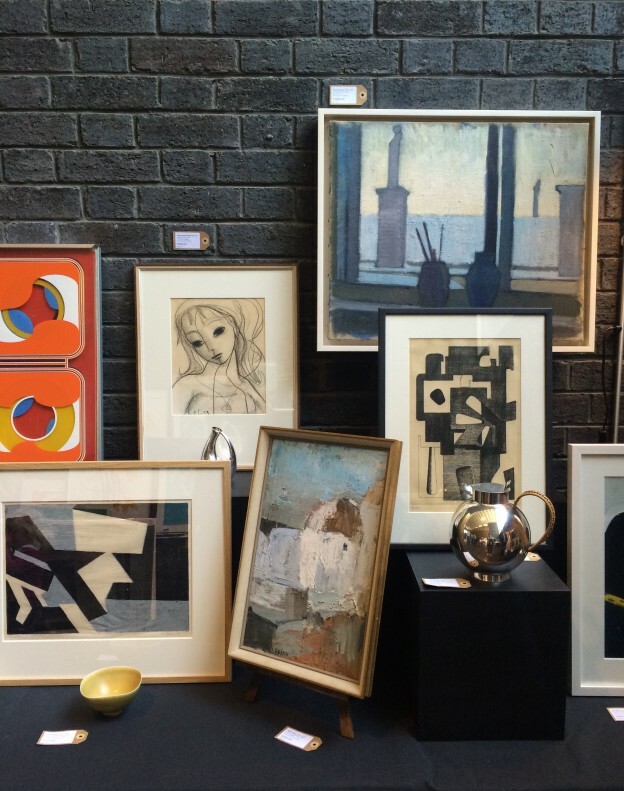 Saunders Fine Art always tempt with their modern British and European art and also collectables. 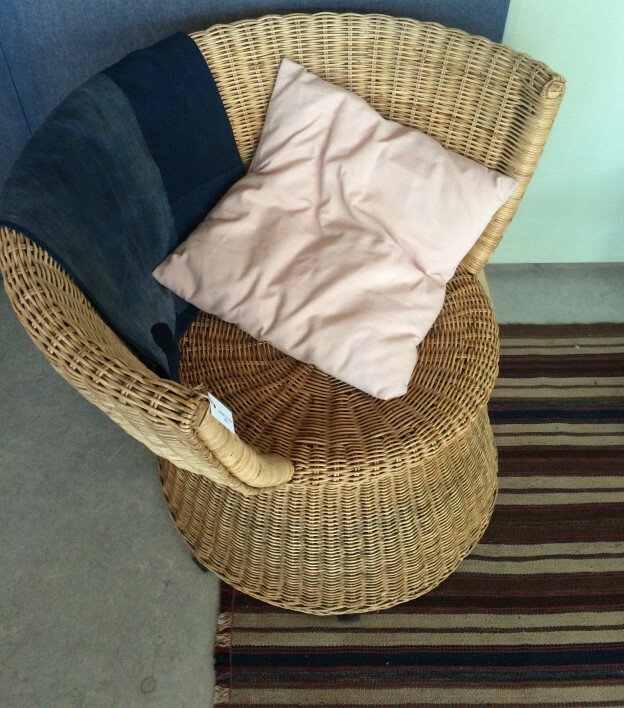 My favourite of the show was a pair of lounge chairs from the ‘50s, with a wonderful back-story, having been languishing with their original owners in the south of France until now. From The Kula. 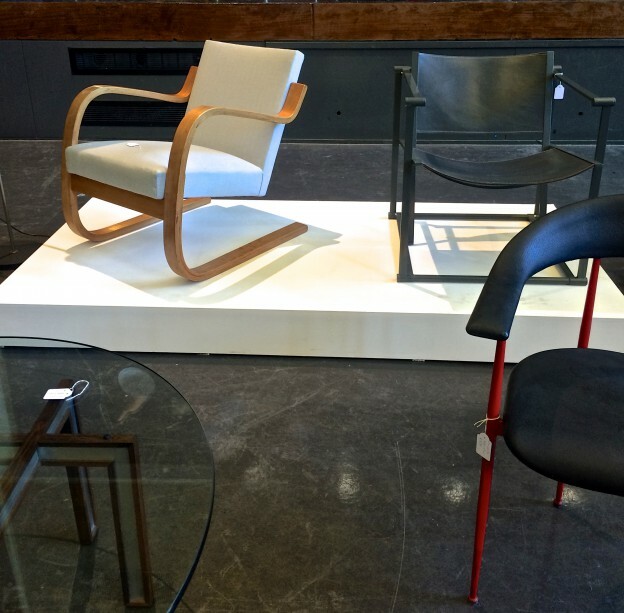 1934, named for Gerrit Rietveld’s ‘crate furniture’ series in 1934, has a tightly curated collection of simple, functional pieces. Dd you go? Any favourites? 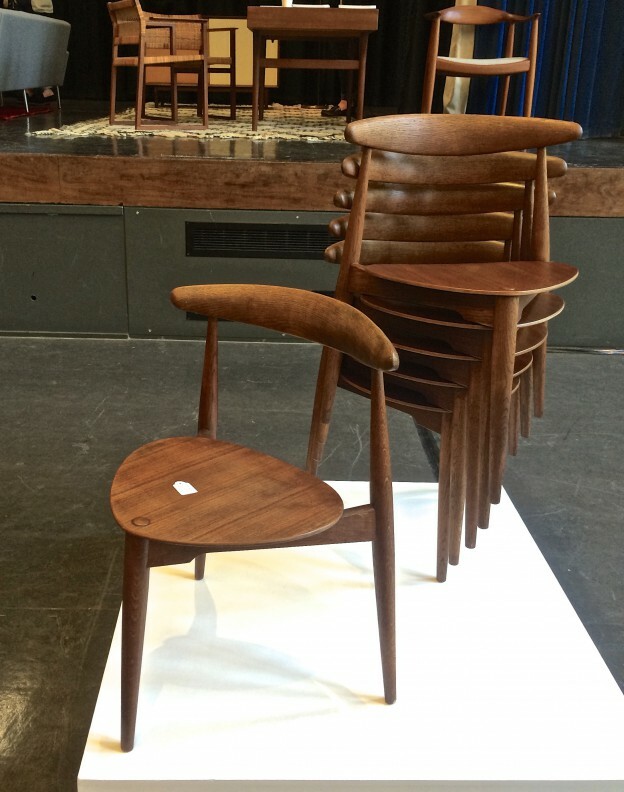 More mid-century show round-ups, here and here. All images owl’s house london taken on my iPhone 5. This entry was posted in happenings. 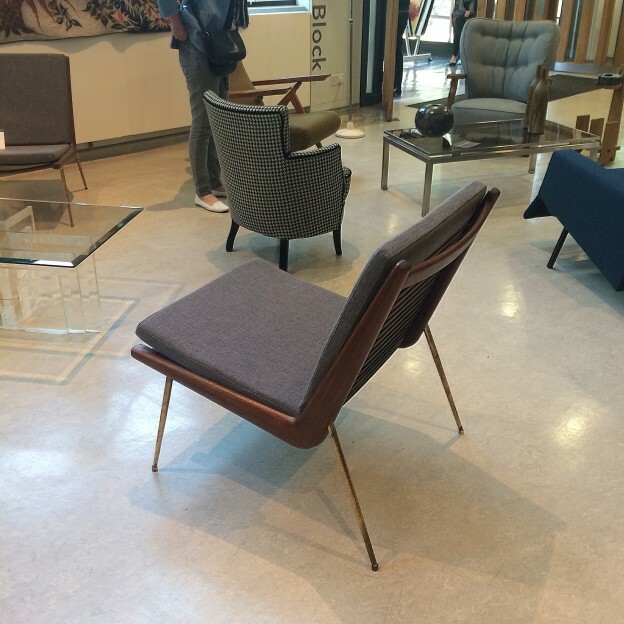 and tagged design, Erno Goldfinger, furniture, Gerrit Rietveld, Haggerston, mid-century, Modern Shows on May 18, 2015 by owls house london..